Police say a man is under arrest after stabbing another man during an altercation in Rosedale this week. 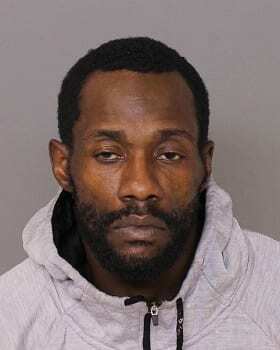 At around 1:10 a.m. on Monday, October 29, a 30-year-old man was in the laundry room of an apartment complex in the 8000-block of Pulaski Highway (21237) when a 39-year-old man entered the laundry room. They began to argue about how long it was taking the first man to finish his laundry when the suspect got close to the victim, yelled at him, and spit at him. It was not clear if the spitting was intentional or if it was due to the men’s close proximity to one another. The victim then stated that he felt he was being assaulted because of the spitting and punched the suspect in the face. The suspect produced a knife and slashed the abdominal area of the victim, causing a cut that required medical attention. Police used surveillance footage to identify the suspect. Alterrick Nathaniel Jackson, of the 8000-block of Pulaski Highway, was located and has been arrested on charges of first-degree assault.